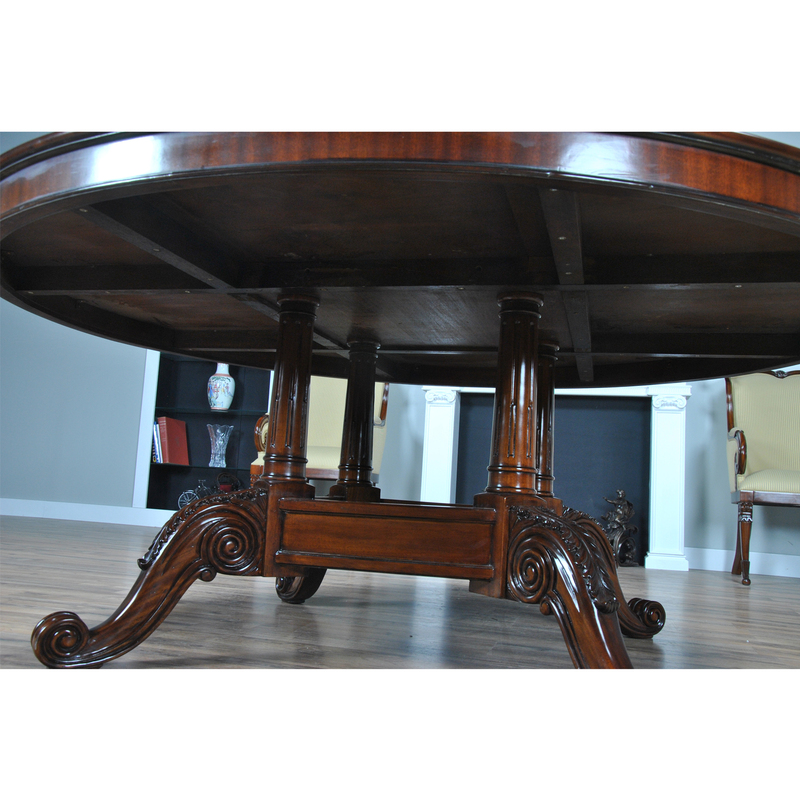 This 72 inch Round Table from Niagara Furniture is as pretty as they come. 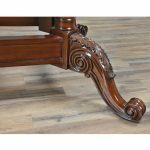 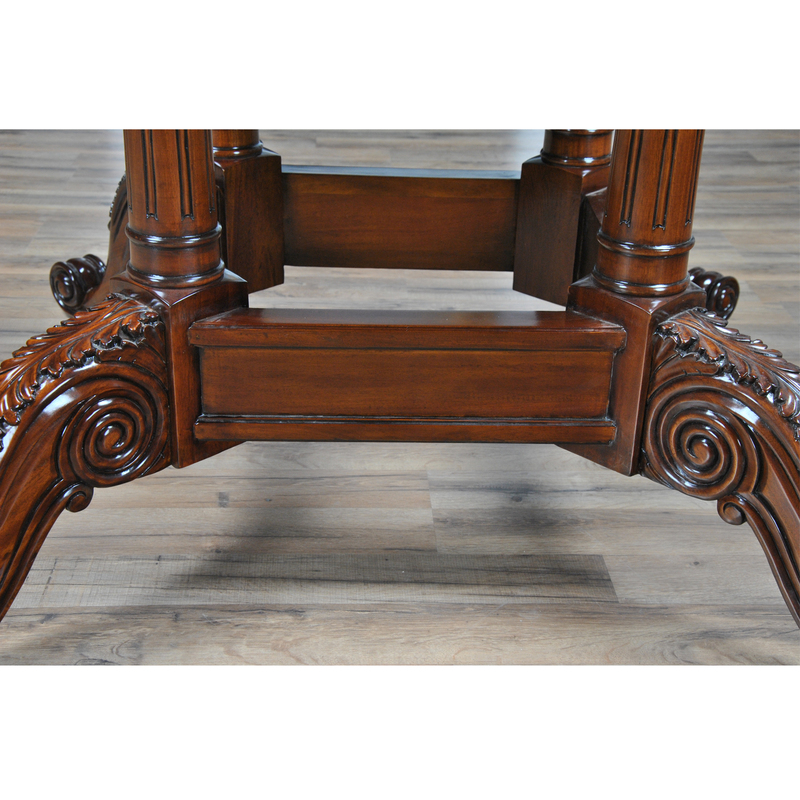 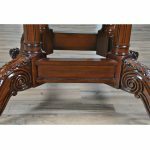 A fantastic base with scrolled and hand carved feet executed in solid mahogany connects through the platform to carved and turned pillars which are as pretty as the table top. 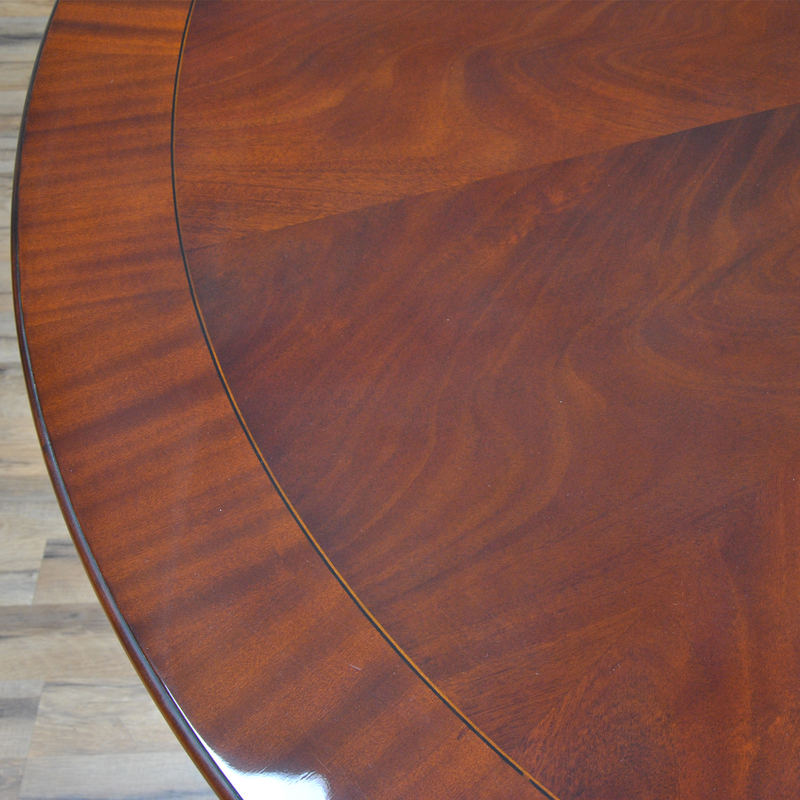 Finished in warm, brown tones our 72 inch Round Table has a very traditional look while not appearing to be either dated or stuffy in character. 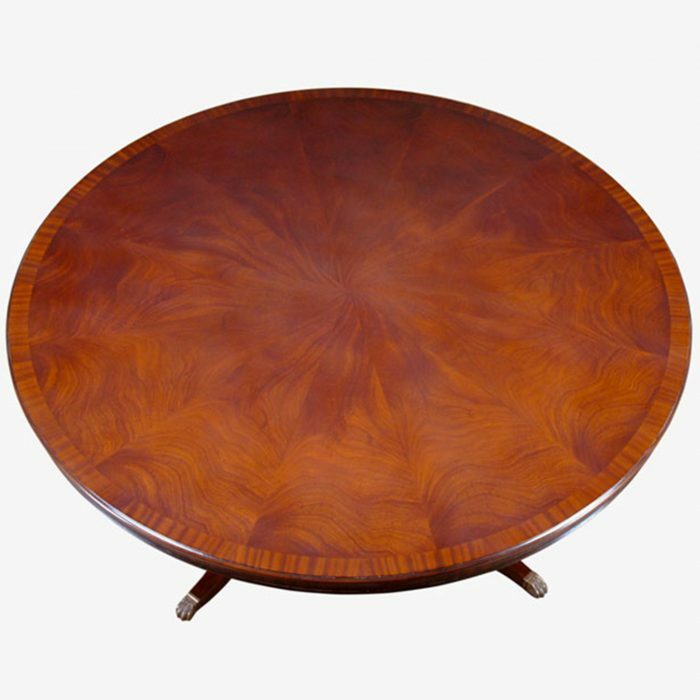 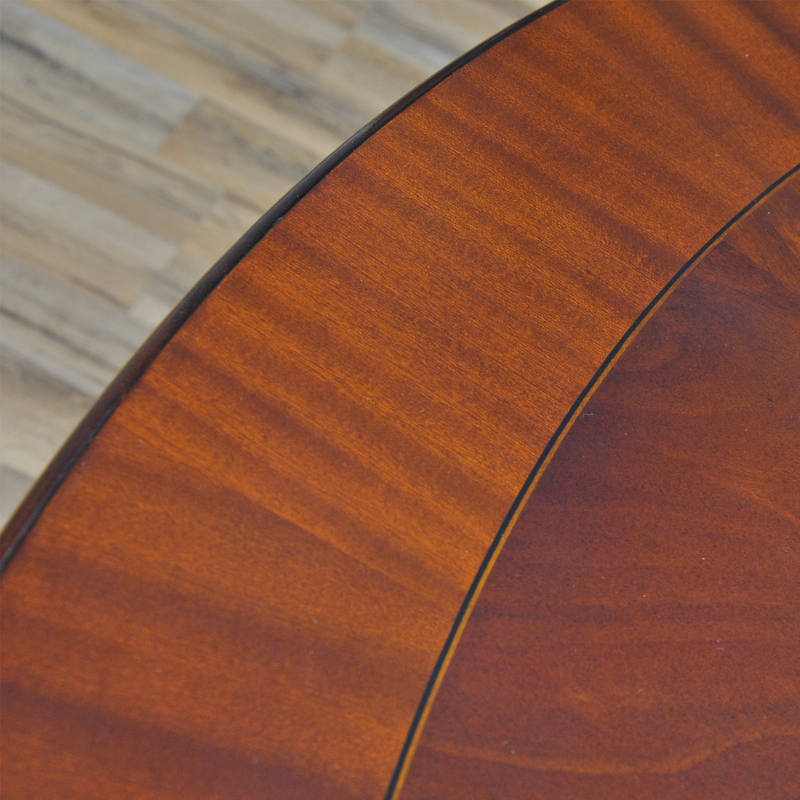 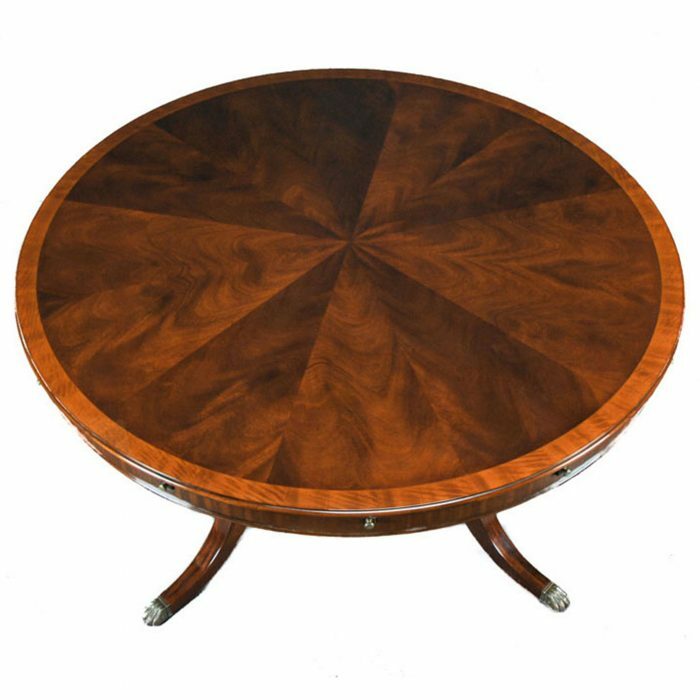 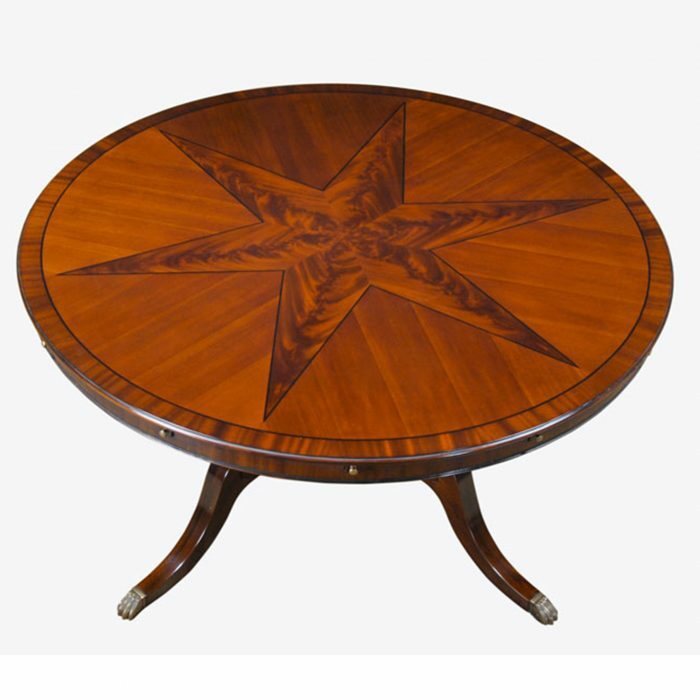 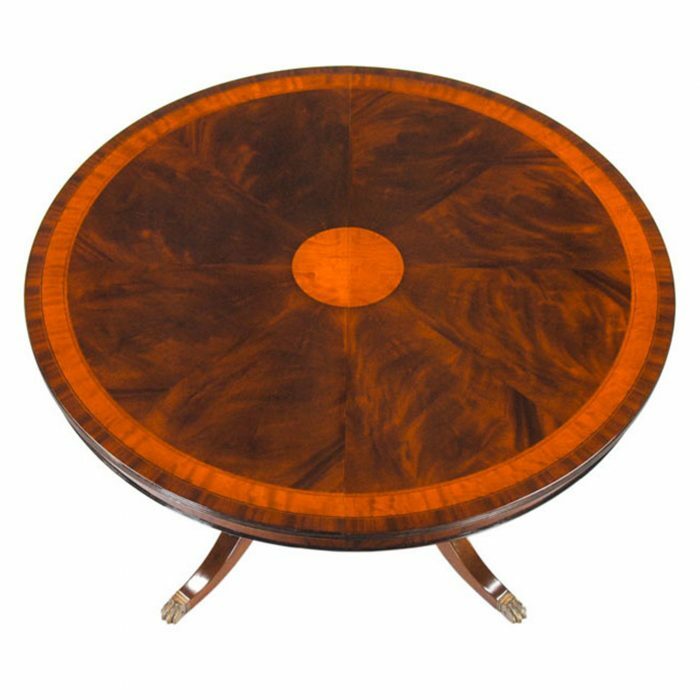 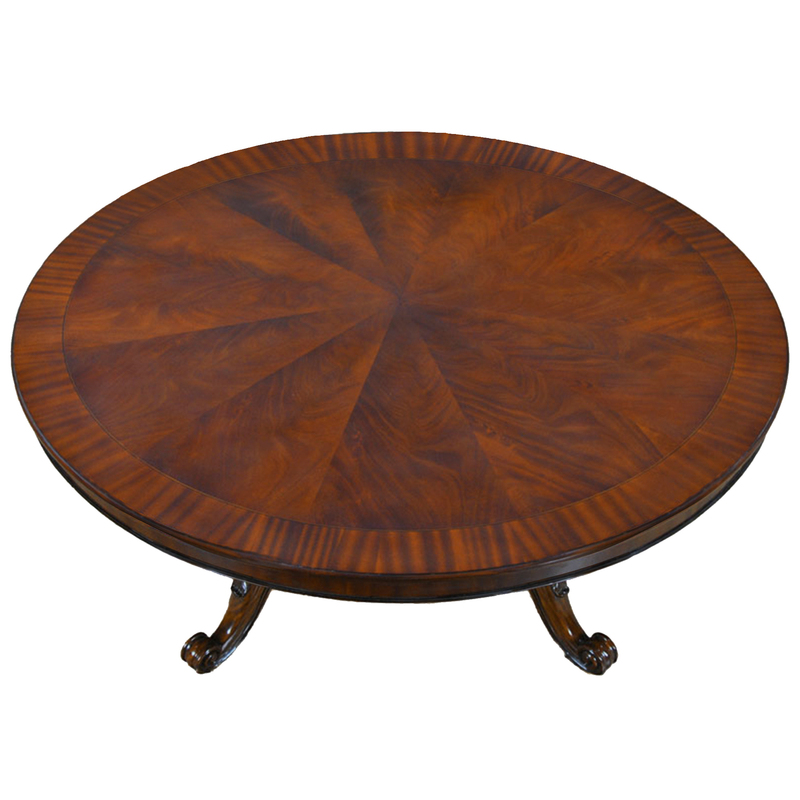 The table top itself is produced using the finest figural mahogany veneers, cut into pie shapes and surrounded by sapele mahogany banding and accented with a rounded, bullnose molding and a full apron underneath. 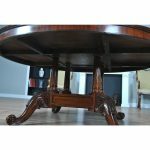 The base and top fasten together easily with wood screws.